A fishwife tells her young daughter a fairy story about a princess imprisoned by a hunchback in a seashell, a story that parallels her own life. 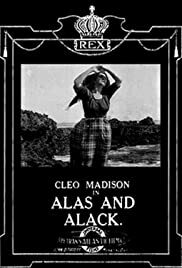 Incomplete short has Cleo Madison telling her daughter a story about the noise in a seashell while her husband (Lon Chaney) is away fishing. The woman dreams of becoming rich one day and it seems her wishes are granted when a rich man pulls up on shore. The final six minutes of the film are missing so there's no way of knowing if she leaves with the man or stays with her husband. The most important thing about this early Universal short is that Chaney plays two roles including a hunchback in a dream sequence. The hunchback scenes have him in limited make up but it looks okay. The special effects are pretty good for the time and Madison makes for a good lead. Hopefully the final minutes will be found someday.